My family first learned about cochlear implants when I was an young child but back then it was not possible for them to have me implanted mostly due to financial reasons. I was born with normal hearing and lost all of it from meningitis when I was 2 years old. Hearing aids were of little use to me, so I learned only to speak (again) and to lipread. Later I learned sign language in a school for deaf that improved my language skills significantly. When I started my studies at college, my family told me that I could get a cochlear implant as it would be covered by health insurance. I refused at first as I was scared of surgery and was not sure if CI would be any different from hearing aids. I took information from brochures with a grain of salt. Hearing negative comments from many signing Deaf people about cochlear implants didn’t help me with decision either. Only when I started attending monthly CI support group meetings at LHH – League for Hard of Hearing (now CHC – Center for Hearing and Communication) in NYC, it was then when I finally met some people with similar hearing backgrounds to mine (some of whom also used sign language) that made me interested in possibility of being implanted. I started my CI candidacy process with Dr. Paul Hammerschlag (my ENT specialist who later would be my CI surgeon) and a CI team in NYC. I was provided with sign language interpreters throughout my whole CI journey – from evaluations to surgery to mappings – for which I’m very thankful. Around that time I was also a college student at RIT and was fortunate to speak to Catherine Clark, an audiologist at NTID specializing in cochlear implants, who answered my questions about CI and introduced me to CI users at RIT. This made me feel more confident about my decision to get a CI. During evaluations I was told that I was a good candidate for CI because of my profound deafness (110-120 db in both ears), regular use of hearing aids, and having oral communication abilities in Russian and English. I was warned, however, not to get high expectations in terms of speech discrimination due to my long duration of deafness and not having enough benefits from hearing aids to understand speech by listening only, so the most I would benefit from CI would be environmental sound awareness. People I spoke to who had similar deafness history to mine told me that they did have some limitations with CI but still liked it much better than hearing aids. The hardest part for me was to decide which CI brand to choose and especially which ear to operate on. Unlike hearing aids (that can be easily tested or changed if you don’t like certain brands), cochlear implant requires an invasive surgery, so you are technically “married” to a CI manufacturer for a long time and would not be able to switch once you pick a CI brand. I decided on a device from Advanced Bionics (the internal implant I have is C1). Originally I wanted my “bad” left ear to be operated, but X-ray, CAT scan, and MRI showed some ossification there while my “better” right ear was clear. My surgeon suggested my right ear to be operated, but also told me that it was up to me to decide. I opted for my right ear to be implanted to get better results. My surgery on July 7 went well without any serious complications. It lasted about 4-5 hours, but for me it felt like it was 5 minutes of having a very deep sleep! I felt nauseous after the surgery and was vomiting – because it was my first time to go under and my body was not used to anesthesia, but I felt much better the next morning and checked out from the hospital. It took me about a week to be myself again after I had anesthesia completely out of my system. My incision was done just behind the ear and closed with 23 staples that the surgeon took out a week after. The funny thing about the night before the surgery is that I had a dream where I had a CI surgery and got relieved thinking it was behind – to wake up to realize that my surgery was yet to start which disappointed me. I was really nervous about the surgery – my major one ever in my life under general anesthesia – and got really relieved when it was actually over in real life! A month later – on August 6 – was my CI activation. My family and I went to the CI center where Louise Levy and Shelly Ozdamar (CI audiologists) and Tim Campos (then an Advanced Bionics NorthEast Manager – now he works for MedEl) as well as sign language interpreters were present during my first CI mapping. I was told to notify of any faint sounds I hear. First I heard were soft beeps and I was not sure if it’s something I needed to notify about. So after some time of no response from me which caused confusion, I was asked if I heard anything and I said yes some beeps and I was told it’s what I needed to tell them about. I had no idea about how mapping works and everything was new to me. After my first mapping was done, I started hearing sounds and got really amazed – especially when hearing my own voice! 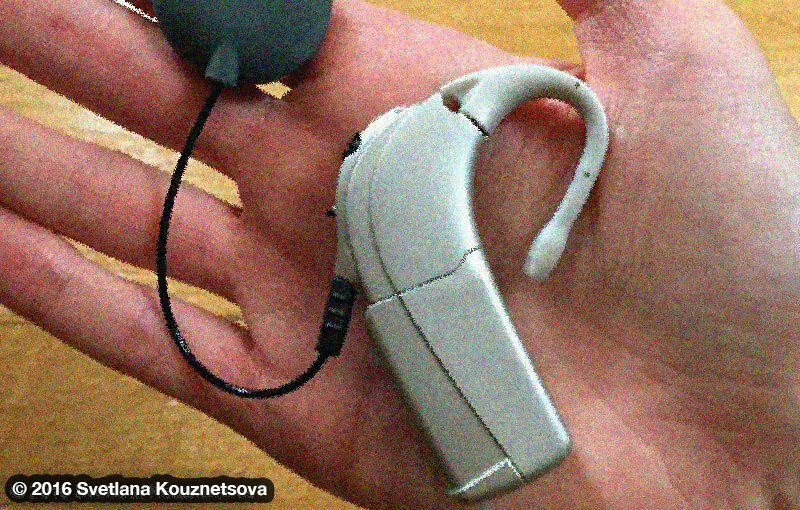 I heard people’s voices before with hearing aids, but not mine, and not that well. My fears went away once I found out that my cochlear implant actually worked and much better than hearing aids. I loved CI right away! There were many sounds I recognized that I used to hear with hearing aids, but they were not as clear or crispy as with CI. There were also new sounds that I didn’t hear before like pouring water into a glass, typing on a keyboard, moving a pen or highlighter across paper, birds chirping, and many others. I was so blown away! I enjoyed hearing beautiful sounds of champagne glasses clinking when my family celebrated my first day with CI. It’s impossible to describe everything what I was hearing before and what I was hearing for the first time, so I am sharing some highlights. I can finally hear all notes on my parents’ piano and also string instruments like guitars and violins which is really amazing. I used to play piano in 5th grade, but could not hear all notes with hearing aids and played mostly by counting. Another highlight was making voice phone calls. I had a text phone for deaf (TTY) and used relay services, but it was really cool to be able to hear and speak on phone. I can understand only my family members in Russian as they know what words I can recognize from the list that we practiced. With the latest changes in technologies, I currently prefer to communicate via emailing, texting, video chatting, but it’s great to have an option to speak to my family orally on phone when needed. As I was warned before, I am still better at hearing and recognizing environmental sounds and have very limited speech understanding by listening only. However, it facilitates my lipreading to some degree in quiet situations and lets me enjoy music more. I tried my best to practice my listening skills when I was in college by working with Catherine Clark and in a listening lab and later had some practice sessions in NYC. It’s really difficult to practice listening when you are older and busy with school or work – especially in college when I was also forced to use sign language interpreters instead of speech to text services and cued speech transliterators. So I can understand why it’s recommended that deaf kids be implanted as early as possible to maximize results with speech discrimination. 5 years with Harmony BTE processor (the silver one shown on the picture above that I’m currently wearing). Another reason I was hesitating to get a CI was also because of the lack of availability of BTE processors. I never liked body worn devices – neither for hearing aids nor for cochlear implants. I did not use body hearing aids much until I got a BTE version which I loved and wore religiously until I was implanted. So I decided to go for CI only when I learned that AB would release a BTE processor. I was disappointed, however, that it took them 3 years instead of several months after my surgery to release it and this made me and many early C1 users feel upset and frustrated with AB. I had to put up with a body processor for longer than expected. There were both ups and down during my CI journey. My main frustrations were trying to practice my listening skills and waiting for a BTE version and then having issues with the Platinum BTE for a long time. Battery life on the Platinum BTE was around 4 hours and decreased with time which made it frustrating for me to constantly replace batteries throughout the day. The BTE was heavy and not comfortable to use as ear hooks were not manufactured well and cut through ears which made me use moleskin that helped very little. The toggle was very difficult and confusing to use as it controlled both program switches and volume levels. I also had to replace BTE 3 times due to technical problems. There were some periods when I did not wear CI at all. It may not be a big deal for some who could put up with any processor as long as they could hear, but it was for me as my expectation for BTE was for it to be as light and comfortable as hearing aids with a reasonable battery life. Things changed for better when I upgraded Platinum BTE to Harmony BTE. Though both are about the same size and weight, I like Harmony much better – especially in terms of battery life. Currently battery on my Harmony BTE lasts around 10 hours (compared to 4 hours on Platinum BTE!). Ear hooks are softer on my ear and more comfortable to use. Controls are also more user-friendly with separate and visible three position program switch and volume wheel (though it is somewhat loose when being brushed against hair and needs to be adjusted sometimes). Harmony hurts my ear sometimes, but not as much as Platinum BTE did, and I have an option to move battery off and clip it to collar clothes (that was not offered for Platinum BTE). I can also listen to a device from my Harmony using a direct connect – something that was also not available with Platinum BTE. Just recently I learned that Harmony is also water resistant! Funny thing is that I didn’t know that all those 5 years with Harmony! I also heard stories about how Harmony users dropped them in water by accident and it worked fine afterwards. Someone told me that their Harmony even survived laundry! I would not risk to have my Harmony exposed to water, but it’s still good to know that it’s water resistant. I remove Harmony when swimming, taking shower, playing sports, or sleeping. Listening practice was another challenge – especially in early days when the internet just started to be commonly used and long before mobile devices. I tried to find a very limited number of software programs to listen to on my computer and to follow books along with audio tapes. It was challenging to follow long audio tapes on my own as there were no indicators to tell me which words I stopped at on a tape and I had to start all over again or ask someone with normal hearing for help. Now with availability of mobile devices and many listening practice apps, videos with good quality captions, and also Kindle e-books with real time text highlighting, it makes it easier for me to practice my listening skills on my own. Another thing I wanted to add is that cued speech helped me a lot when practicing my listening skills (especially in English that is not my first language) with Catherine Clark who happened to know that communication mode and was the first person to teach it to me. I stumbled across an article about cued speech for cochlear implants when looking for tips on listening practice. I also have had a pleasure meeting and socializing with native cuers (though not frequently enough to become a fluent cuer) and attending their recent 50th anniversary conference in Virginia. Mappings were more frequent in my early years with CI and now they are done on as-needed basis. In the beginning I was testing CIS and SAS strategies and then PPS, but I ended up using CIS strategy as it fits my needs better. I enjoy working with Shelly Ozdamar who has been my audiologist for 18 years. Since she knows sign language, I no longer need to use interpreters at the CI center when I visit her for mappings. We can understand each other well orally and use sign language when needed. Last time I visited Shelly was 2 years ago for mapping and also for a hearing test with my CI. My hearing with CI is currently at 20-25 db levels (up from 110-120 db levels unaided) which makes me a hard of hearing person with a mild hearing loss. Shelly joked to me that I’m now hearing better than my parents and her as they are getting older. Despite my frustrations with early processors and limited opportunities with listening practice in early days, my overall experience with CI is positive. 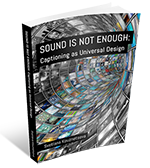 I still rely on visual access – lipreading, captioning, sign language, cued speech – and consider CI as a great addition that enhances my listening experience to some degree. My story may not be as dazzling as those of deaf people who were implanted at an younger age or right after they were deafened at a later age and who have more benefits from CI than me, but I’m very fortunate to have the opportunity to enjoy hearing sounds with this amazing technology in my own way. While it is not a cure for hearing loss and does not work for everyone, cochlear implant is a great tool that improves hearing for many deaf people who want to be in the world of sounds.